If the Academy isn’t on the “sober” list, or the “party” list, where is it? The Princeton Review released its 2014 edition of “The Best 378 Colleges” book Monday, which includes the lists of the Top 20 party schools and the Top 20 sober schools. But unlike last year’s list, the Air Force Academy doesn’t pop up under the Top 20 sober schools like its military counterparts: the U.S. Military Academy at No. 5, the U.S. Coast Guard Academy at No. 8, and the U.S. Naval Academy at No. 9. 10. Syracuse University, Syracuse, N.Y.
11. Penn State University, University Park, Pa.
12. DePauw University, Greencastle, Ind. 18. James Madison University, Harrisonburg Va.
3. U.S. Naval Academy, Annapolis, Md. 5. Grove City College, Grove City, Pa.
6. U.S. Military Academy, West Point, N.Y.
8. Wesleyan College, Macon, Ga.
9. Wellesley College, Wellesley, Mass. 12. City University of New York-Queens-Hunter College, Flushing, N.Y.
13. Franklin W. Olin College of Engineering, Needham, Mass. 14. Agnes Scott College, Atlanta-Decatur, Ga.
16. 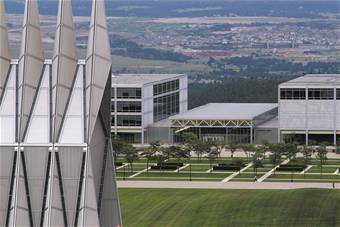 U.S. Air Force Academy, Colorado Springs, Colo.
17. Pepperdine University, Malibu, Calif.
18. Becker College, Worcester, Mass. 20. California State University-Stanislaus, Turlock, Calif.